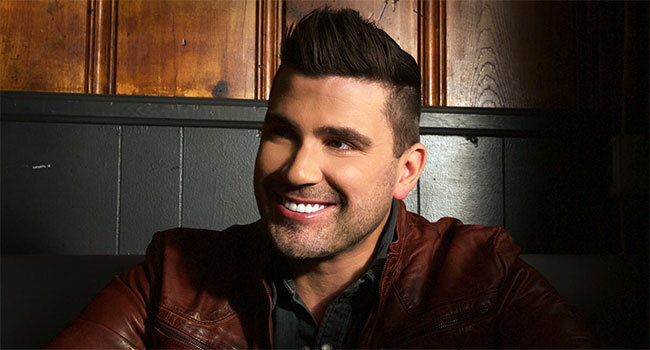 American Idol Season 2 contestant Josh Gracin is back with his new EP, Nothin’ Like Us, Part One. The project contains six uplifting songs that mixes his signature sound with today’s pop country elements (Read my review). As of this morning (Wed, June 21st), the EP has hit 908,000 Spotify streams since it’s February release and is projected to hit a million by Tuesday of next week. Gracin, who is readying the title track for radio later this summer, spoke with me about the album, his spike in Spotify streams within the past year, and how important his upcoming radio tour will be to his career. Please tell us the inspiration behind Nothin’ Like Us, Part One. I came into country music in 2004, and country music has changed greatly since I even started. I knew there’s a lot of people out there going look, ‘Country isn’t country anymore’ and all that other stuff like that, but I also knew that in order to bring new people to the country music format, that’s gotta have young people coming in, but there’s gotta way to keep country music country music and appeal to the younger crowd, younger audience. I thought about it and I really came to the conclusion for me that country music about the story. Country music is about what it talks about, not about what it sounds like, you know what I mean? Not what the instruments are playing — the music or whatever else like that. So, going into this record we really really looked for songs that had a great story that you could listen to and you could apply it to something in your life whether you thought through, were going through or knew somebody that was going through it, and that’s country music. And I really felt like we’ve done this with this EP where the song has a great story, the context, the way it talks about it is country music. And, then we found a way to bring more of a modern sound to it. Kinda like a perfect hybrid, I guess you can say. The title track is your next single. When can fans expect to hear “Nothin’ Like Us” on their favorite radio station? It looks like we’re going to be setting up the radio visits, radio tour stuff, in July. We’re gonna be hitting the ground running pretty quickly and I would venture to say that we’re probably going to set an impact date at radio sometime in August. We’ll be everywhere. We were literally everywhere! I guarantee you that we’ll be out west! Every major radio station, we’ll be hitting up, and whatever stations on the way to those, we’ll probably stop in and do. We’ll be doing the whole thing. A radio tour is pretty important these days. It’s vital. It’s important to get in there as an artist and make those relationships. Radio changes constantly. Every time you befriend somebody running a radio station, they get promoted or decide to retire or go do a different company, you’re always trying to make new friends. It’s a very very unique business. It’s about the song as much as it’s about networking, about making friends. Nothin’ Like Us nearly at 800,000 streams on Spotify. What do you think about that? How does that reflect on you? I’m excited! They actually got updated this morning and we’re sitting at 908,000 streams on Spotify right now. And this time last year, my Spotify had like 71,000 listeners on it because when I came out, there wasn’t Spotify, YouTube, really, you know, Instagram. All that stuff has like blown up in the last four years, you know what I mean? So I’ve been playing catch up especially since there’s nothing been recent on the radio or released recently. Since this time last year, my Spotify had 71,000 listeners on and we’re now over 400,000 listeners. Like I said, Nothin’ Like Us is at 908,000 streams this morning. We should hit a million streams by Tuesday of next week, it looks like. It’s very exciting! Things are going very well! Listen to the entire article below.